Caramel Chocolate Coffee Iced Frappé: The new Caramel Chocolate Coffee Iced Frappé is made with the great taste of Arabica beans freshly blended with ice and a decadent caramel chocolate sauce. It’s then topped with real whipped cream and caramel chocolate sprinkles. 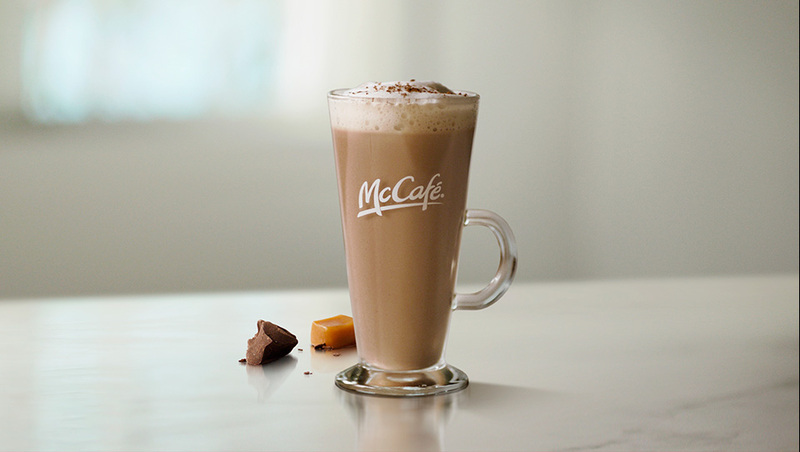 Caramel Chocolate Latte: The new Caramel Chocolate Latte is made with our signature McCafé® espresso. It is blended with Caramel Chocolate sauce and topped with freshly steamed Canadian milk which is frothed and sprinkled with Caramel Chocolate. Caramel Chocolate Mocha: The new Caramel Chocolate Mocha is made with our signature McCafé® espresso. It is steamed and frothed with fresh Canadian milk and decadent chocolate sauce and then finished with real whipped cream and Caramel Chocolate sprinkles. 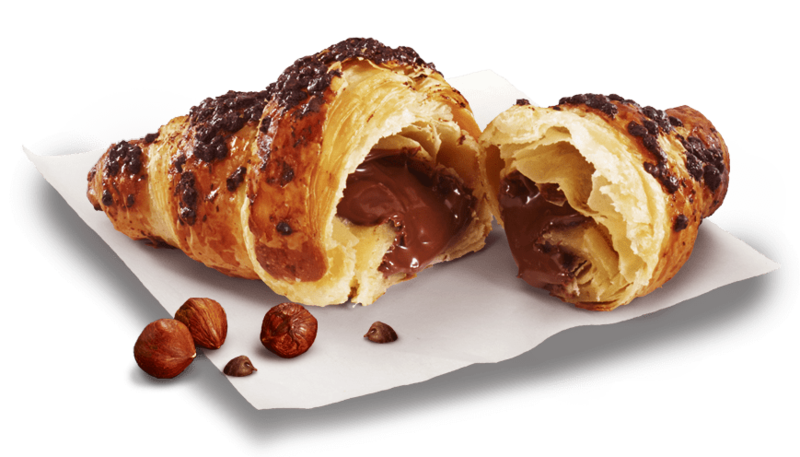 This spring try McDonald’s NEW Chocolate Hazelnut Croissant! Made with a rich and smooth chocolate hazelnut filling, wrapped in a flakey all-butter pastry. Here for a limited time only! Click here to find a McDonald’s near you.